Many women, once they become moms, look for more flexible careers to help achieve a better work-life balance. I was definitely one of those women. I always thought I had a solid career, and that I had found the job I was going to retire in. But that all changed once I had my son. I could no longer justify working 7:30 to 5 every day and missing key milestones in my son’s development. Yes, I had a wonderful career with solid benefits, but what was the point if I was too stressed out to enjoy my family? I did what a lot of women do–started looking for a more flexible work position. 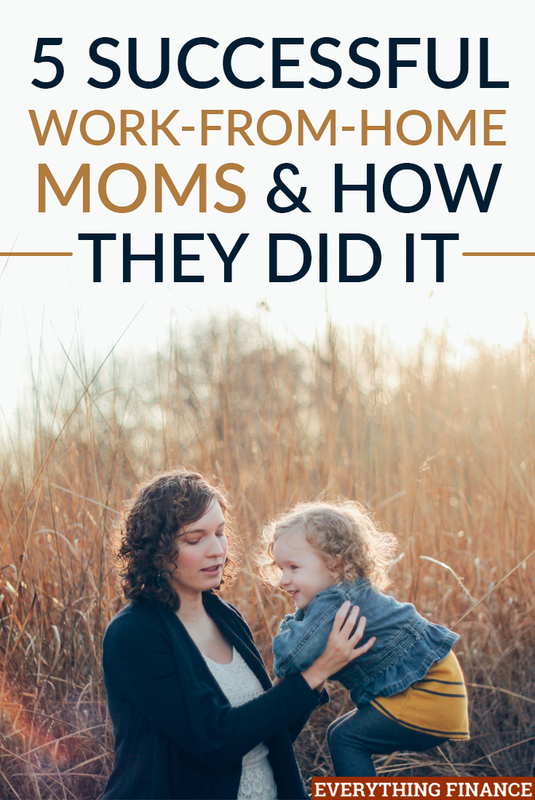 Many of the moms featured below did the same thing as me, and decided to venture out to work from home in order to be more involved in their children’s upbringing. Just because we’re mothers and we work from home doesn’t mean we’re not excellent employees and businesswomen. Galena was working an office job when she decided to become a virtual assistant. Soon enough, she was making more money with her side job than her day job. She decided to break out on her own. After becoming a self-identified expert in the field, she launched the Virtual Assistant Clinic, helping others become virtual assistants and start their own work-from-home businesses. Erin Giglia founded Montage Legal Group as a “matter of necessity” in order to find a better work-life balance between her family and her career in the legal profession. With a partner, she started the Montage Legal Group, a company that provides temporary legal services to law firms through a network of independent freelance attorneys who work from home on an hourly basis, for example Donohoe Law Firm is a family law attorney Colorado Springs. Like many personal finance bloggers, Cat started out writing about her own experience getting out of debt. Soon she transformed it into a full-time freelancing career, with blogging courses, speaking engagements, and training. She manages her career while also being the mother to twins. Mollie, mother of five, is the founder of Norah Jane, which makes handmade rubber stamps. She started by selling them exclusively through her Etsy page. Soon she became one of the top earning Etsy sellers on the site. Julie has become known in her hometown of Orange County for her amazing photos and affordable prices. As a working mom herself, she caters to the working mother crowd by offering affordable photography. With her photography business, she is able to set her schedule around her family’s and find a work-life balance that suits her. All of these women turned their passion into a flexible career that would work for them and their family. While women are often told to “lean in” so they don’t miss out on their careers, the phrase doesn’t take into account how much work goes into raising a family. It’s not so much that other mothers need to lean in, but that corporate America needs to be more flexible. Would you like to be a stay at home mom? Are you one? If so, what kind of work do you do?